25 year old man unable to enlarge his calves with exercise. 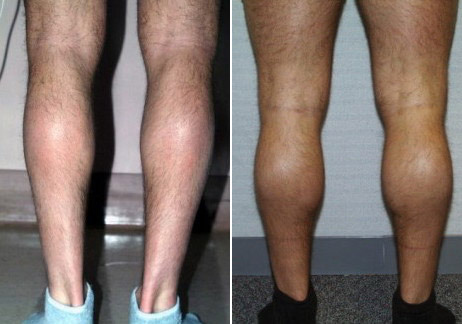 Calf Augmentation was done with soft solid silicone implants. Follow up photo is 3 years later. Women seeking this operation are usually deficient in the medial calves which makes them look bow-legged. A single implant is used on each side.